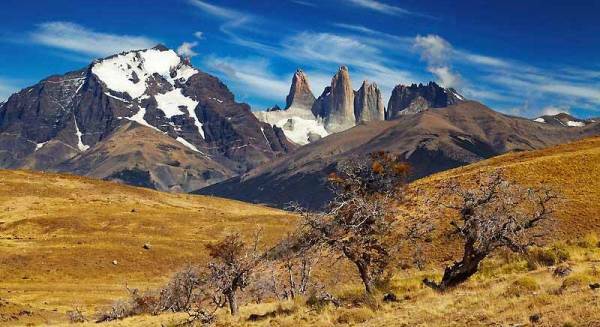 The W Circuit Trek is the route most hikers take when they visit Torres del Paine. Hikers spend 3 – 5 days on the”the W Circuit Trek”. 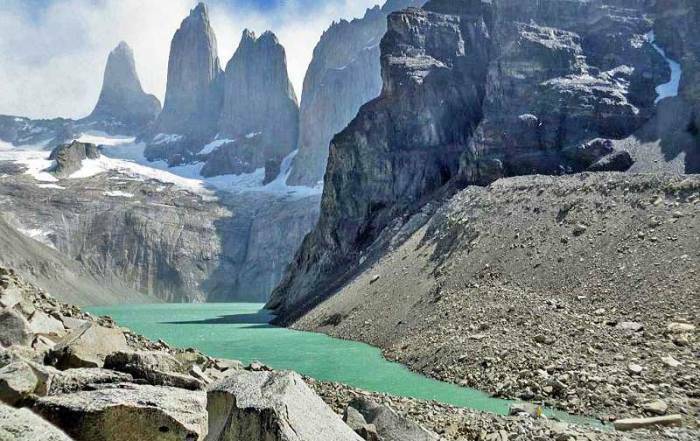 Check out the Torres del Paine W Circuit Trek map. The “W” refers to the pattern of the trail. The W Circuit Trek includes the las Torres (Towers) Valley, the French Valley and the trail to the Grey Glacier. Trekkers can hike separate sections of the W Circuit by starting at either Paine Grande or at Hotel Las Torres Patagonia. 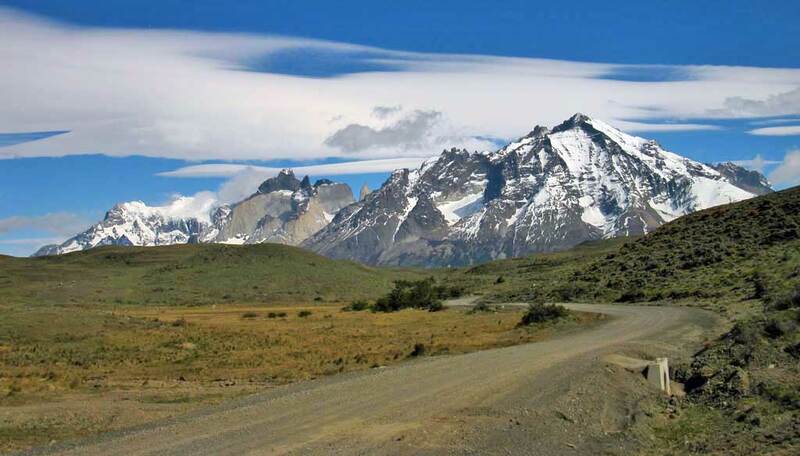 The W Circuit Trek in Torres del Paine can be also be expanded into a full 60 mile circle for advanced climbers. Las Torres (the Towers) – This is the most difficult climb of Torres del Paine W Circuit Trek, but it’s still not that difficult. The W Circuit hiking trail starts by the Hotel Las Torres Patagonia and Ecocamp Patagonia. 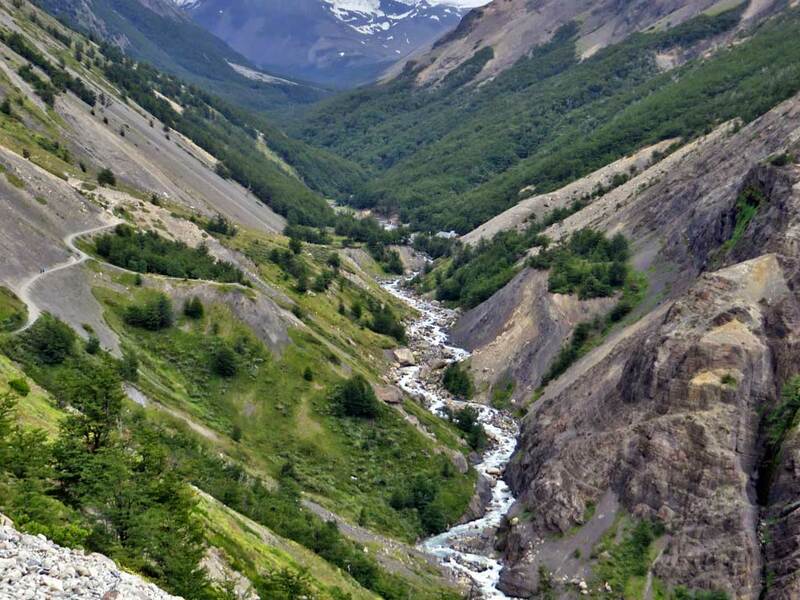 The trail climbs the base of Almirante Nieto mountain and then levels out in a glacial valley. Next the trek turns steeply upward over a glacial moraine. 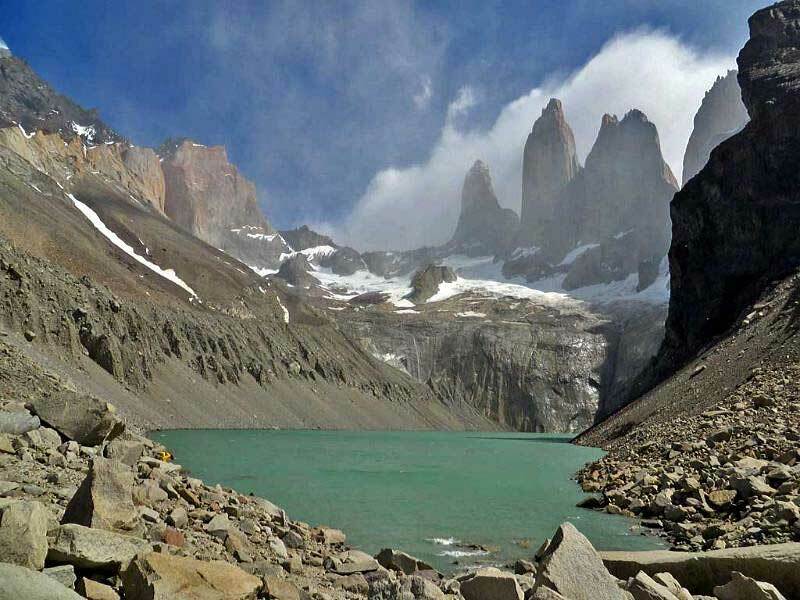 Then the trail arrives at the small lake at the foot of the towers, called Mirador Las Torres. Plan at least a 7 hour day on this 12 mile return hike. You can also camp an hour below the viewpoint and wait for the best views. The French Valley – This forms the mid section of the Torres del Paine W Circuit Trek with the Cuernos del Paine mountain on the right as you ascend and Paine Grande mountain on the left. The trail from Lodge Paine Grande starts along the lake shore and then climbs to the Italian camp near the Frances glacier. This section takes about 2.5 hours. It’s another 3.5 hours from there through the French Valley to the British Camp. You can also reach the French Valley from the Las Torres Valley by hiking southwest along Lake Nordenskjold to the Cuernos Camp for 4.5 hours. Then from the Cuernos Camp to the Italian Camp is about 2.5 hours. 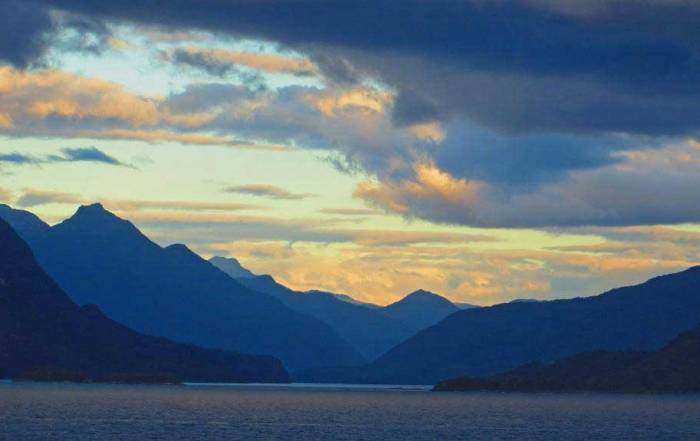 Many tours skip this large section of the W Circuit Trek by using the Lake Pehoe Ferry to reposition from the Torres Valley to Lodge Paine Grande. Lake Grey and Grey Glacier – This forms the left side of the W Circuit Trek. The trail starts at the Lodge Paine Grande and travels to the shore line of Lake Grey. There is a lookout at the halfway point and a hostel at the glacier. You can also take a ferry back out instead of hiking a full day to return. 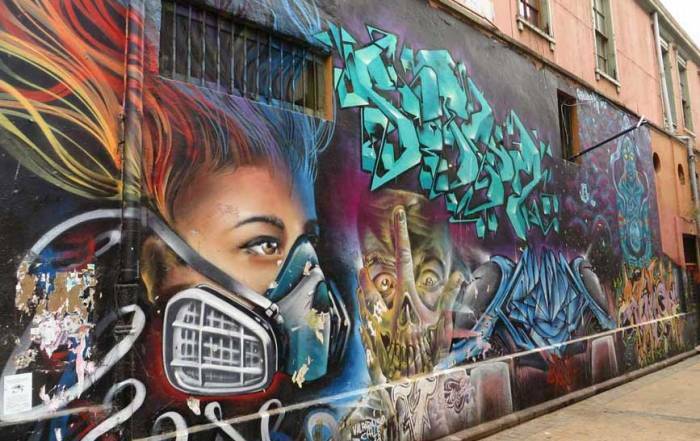 Puerto Natales is the best place to outfit your Torres del Paine W Circuit trek with hiking gear. Rent sleeping bags, tents, walking sticks, water proof jackets & pants and waterproof duffel bags. Leave your suitcase at a hotel in storage and retrieve your non-trekking belongings after your excursion to the Towers. 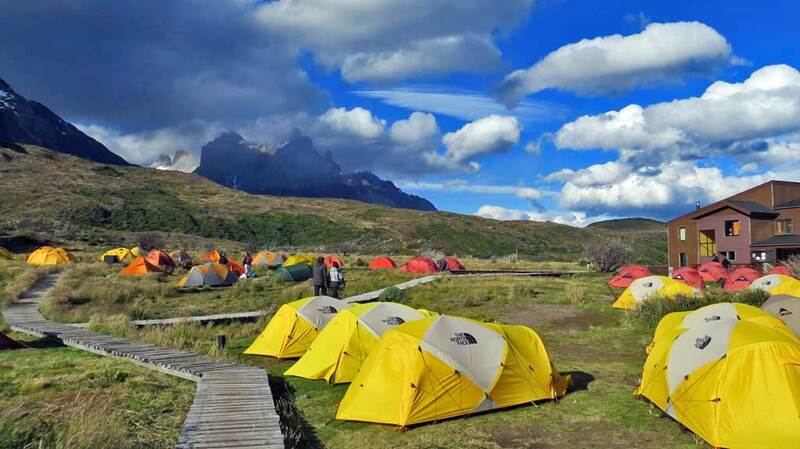 You can also rent tents and sleeping bags at Lodge Paine Grande. The lodge has public washrooms, a small store, a cafeteria and a bar. Hotel Las Torres Patagonia – a large hotel complex located at the start of the trail to the Towers. This is the closest hotel to Mirador Las Torres. Hotel Lago Grey – located at the base of Lago Grey with views of the lake, the glacier and Paine Grande. Hotel Lago Grey is accessible by vehicle but is not near the hiking trails. 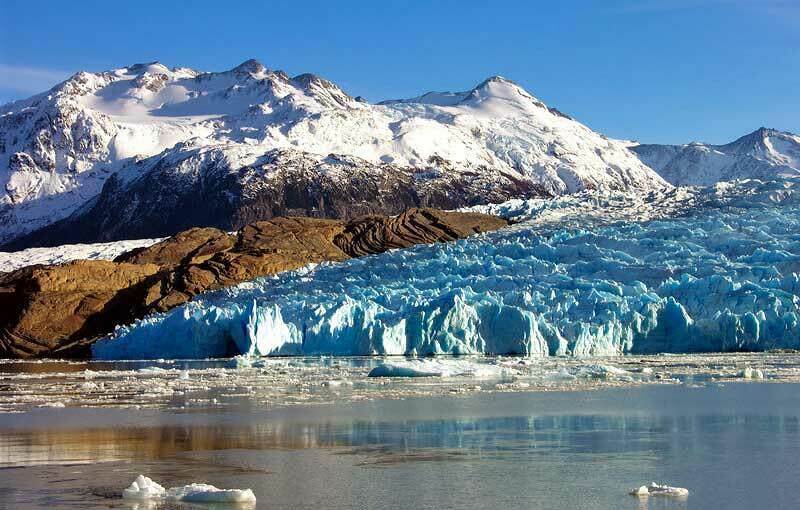 Take their ferry to the Grey Glacier and begin hiking your W Circuit Trek. Explora Patagonia – 5 star hotel located beside Chico Falls with lovely views of Pehoe Lake and the mountains. Hosteria Tercera Barranca – set back 12 miles from the Las Torres trail head, with excellent views of the Towers. The Lake Pehoé Ferry is located at the base of the Cuernos del Paine mountain. The lake is fed by the Salto Grande Waterfall. You can see the waterfall on theLake Pehoé Ferry ferry ride. Lake Pehoé Ferry can be reached by vehicle. The Hielos Patagonicos Lake Pehoé Ferry crosses the lake from Pudeto to Lodge Paine Grande. This ferry provides you with the option to hike to the Grey Glacier or the French Valley from the Lodge Paine Grande. Torres del Paine Refugios offer camping and hostels with bunk beds. There are no private bathrooms. Refugio Vertice Paine Grande – the starting point for hiking to the French Valley or the Grey Glacier. The Refugio Vertice Paine Grande has single beds in a mixed dormitory with shared bathrooms. There is also a store, cafeteria and a bar, plus Wi Fi. Tent and sleeping bag rentals are available and there is open camping on the grounds around the lodge. There is no vehicle access to this lodge. The reguio is reached by the Hielos Patagonicos Lake Pehoe Ferry that crosses Lake Pehoe. Ecocamp Patagonia – refugio located at the start of the trail to the Towers. Sleep in private domed tents with washrooms and wood heat. Eat in a community tent and have a drink at the bar. Full or half board. Refugio Vertice Grey – this Torres del Paine refugio is at the end of the Grey Glacier hike. The refugio has single beds in a mixed dormitory with shared bathrooms. There is also a store, meals and a bar, plus Wi Fi. Fantastico Sur Refugios – manages a number of Torres del Paine refugios. 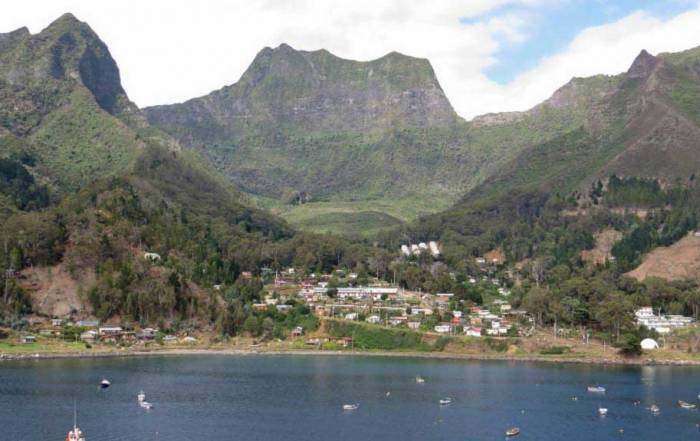 Fantastico Sur W Trekking – Fantastico Sur has rights to many refugios and cabins in the park. 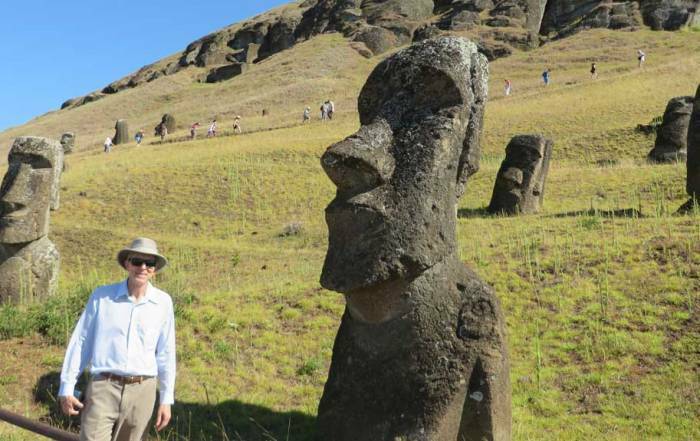 Erratic Rock – One day return trips from Puerto Natales that visit Lago Grey, Salto Grande, Milodon Cave and views of the Cuernos and Torres del Paine. G Adventures has a great private camp and an excellent 2.5 day hiking tour on the W Circuit. The weather in Torres del Paine is influenced by how close it is to Antarctica. Torres del Paine weather is nevert very warm, even in the summer months of January – March. Wind and cloud are a year round challenge for hikers and trekkers. The weather also often hides the fabulous views. Rainfall is fairly light and consistent throughout the year. The summer months around January have windier weather. Expect average highs in Torres del Paine of around 66 F (19 C) in summer (January) and average lows of 44 F (6 C). In the winter average highs are 40 F (5 C) while lows average a few degrees below freezing. Be prepared for rain and sleet during your hike or trek regardless of what the weather is like when you start your day. Also, use lots of sun screen, as the exposure to UV rays can be very high. 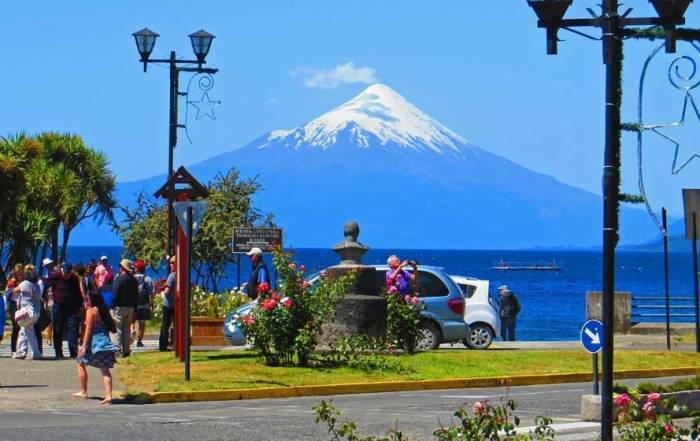 Puerto Natales is the staging area for Torres del Paine. Buses and tours run regularly each day to the park in just under 2 hours each way. There is a small airport in Puerto Natales, but the more common access to the city is via a bus ride from Punta Arenas or El Calafate. Options for buses include Bus-Sur, Buses Gomez and Buses Fernandez. The roads in the park are gravel, which may affect the ability to rent a car. 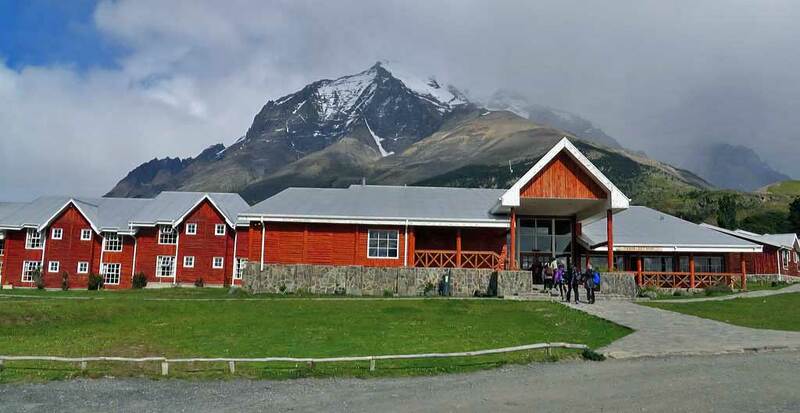 Refugio Las Torres runs shuttles to and from the park entrance at Laguna Amarga. Some cruise ships over expensive one day trips to Torres del Paine from Punta Arenas. 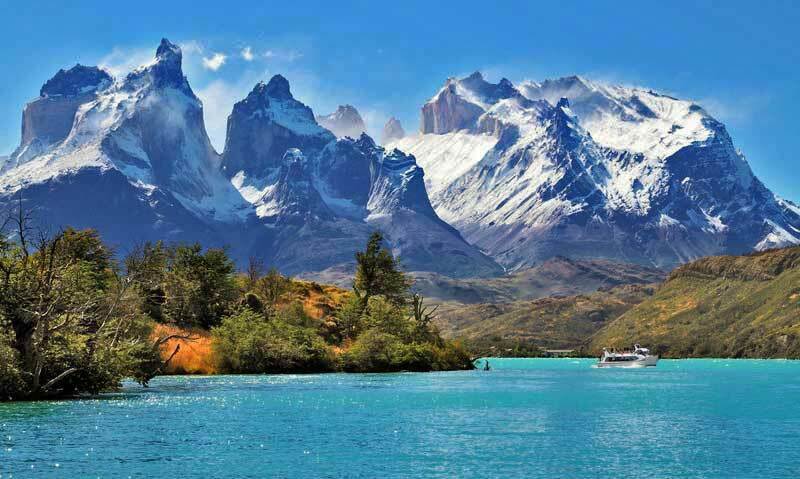 Torres del Paine is several mountains jutting out of the Patagonian steppe on the eastern side of the southern Andes. The names of the mountains can be quite confusing. The Torres del Paine mountains in Torres del Paine National Park includes the Torres del Paine range (the Towers), the Cuernos del Paine range (the Horns) and the Grey Glacier beside Paine Grande mountain. Torres del Paine National Park is part of the Southern Patagonia Ice Field. The ice sheet is continuous from the park’s Grey Glacier to Perito Moreno Glacier in Argentina, which is about 50 miles north. 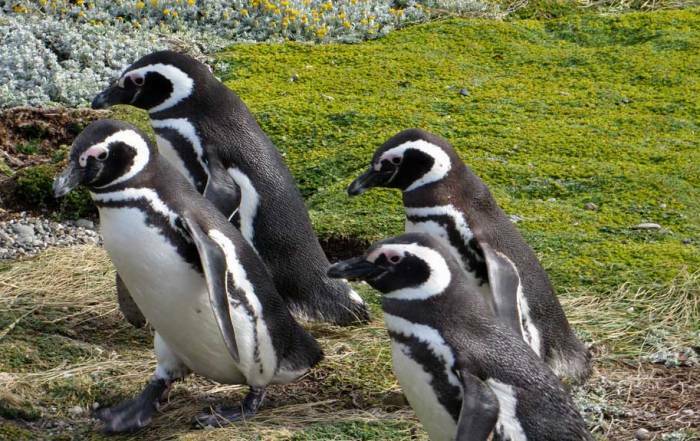 There is no direct access from Torres del Paine to Perito Moreno Glacier, so expect to spend about 8 hours of travel time to move between these two locations via El Calafate.